Today, Asus unveiled (and Techlicious went hands-on with) the new ZenWatch 2, the second generation of the company’s luxury Android Wear smartwatch. The device features more design choices, a new smaller size that fits better on women’s wrists and improved two-day battery life – all at an affordable price point. The ZenWatch 2 itself is available in silver, gunmetal and rose gold metal, all of which give the device more heft and stature than a plastic smartwatch. It can be paired with a high-quality rubber strap (blue, orange, red, taupe), stainless-steel link (in matching silver, gunmetal or rose gold), premium leather (khaki, brown, grey, blue and orange) and a special Swarovski crystal-studded leather strap. It’s a fashion-minded smartwatch choice that doesn’t break the bank. 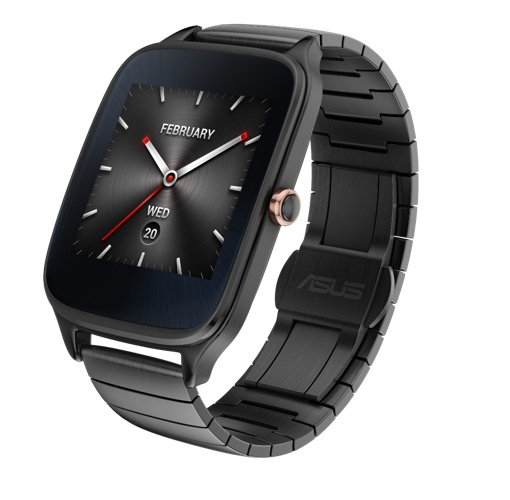 The Asus ZenWatch 2 has some pretty solid fitness tracking credentials. First off, it’s IP67 water resistant, so you can wear it in the pool to track your laps. It has a built-in fitness coach that can provide feedback through your workouts and track your goals. All this workout data can be stored, charted and tracked in the Wellness smartphone app. Overall, it’s been a pretty big week for smartwatch reveals and news. A few days ago, it was announced that this new generation of Android Wear watches would be the first to be compatible with the Apple iPhone. Yesterday, Motorola reveals its second-generation Moto 360 smartwatch; while today, Techlicious writer Andrea Smith went hands on with the Samsung Gear S2 smartwatch at the IFA consumer tech show in Berlin.